Note: Move your downloaded data to folder /Android/obb/com.tencent.tmgp.cfmnac. 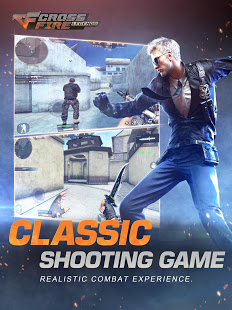 As one of the most successful FPS games in the world, CrossFire's mobile version has been drawing considerable attention from the gaming industry. 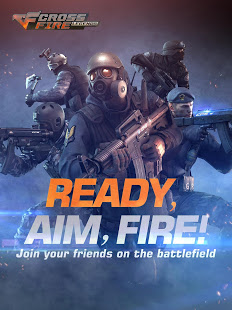 From managing the most popular FPS game on PC in China, the CrossFire team has gained years of experience understanding players' needs and preferences. That very same understanding served as a guide in the making of this mobile version. CrossFire: Legends aims to make sure its players can get the same weapon control feeling they had on PC. In order to achieve that, the development team (the same team that made the PC version) conducted tens of thousands of tests. We guarantee our players an exciting game experience as well as a fair game environment. 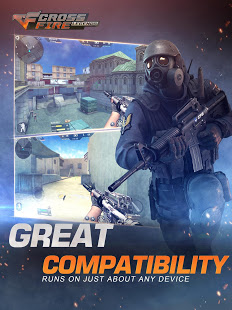 CrossFire Mobile did more than just copying from its successful PC predecessor, too—breakthroughs and innovations aplenty have been made. The mobile version uses dual joysticks for its controls. The left one controls characters' movement while the right one controls aiming and shooting. This easy but precise control system allows players to get the hang of the game in no time. The 2nd gen engine it uses ensures a high quality of graphics, allowing players to immerse themselves in a massive ultra HD world!